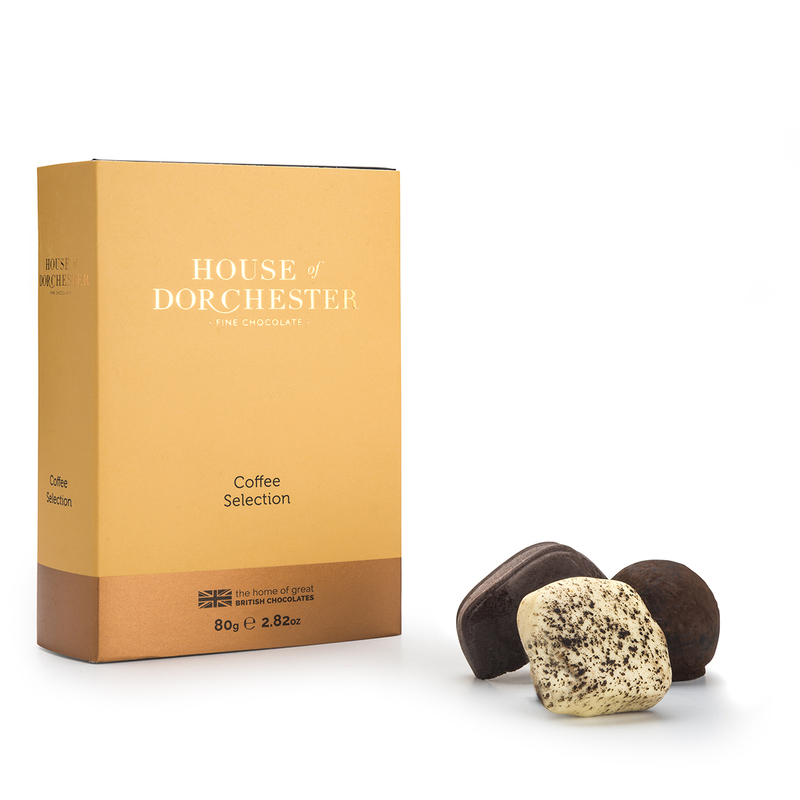 An assortment of dark, milk and white chocolates, including Espresso Truffles, Latte Crisp and Americano Truffles. Sugar, cocoa mass, palm oil, cocoa butter, skimmed milk powder, whole milk powder, milk sugar, fat reduced cocoa powder, ground coffee, refined sunflower oil, rapeseed oil, natural flavourings, emulsifier (soya lecithin), rice flour, whey powder (from milk), fruit extract, humectant (glycerine). May also contain traces of nuts, wheat, gluten and egg.